From shopkeepers and small farm producers to service providers and professionals, Jefferson County, Florida welcomes independent businesses. Whether your business supports our active tourism industry or the everyday lives of our local community, we have sites or buildings to suit your needs. DOWNTOWN MONTICELLO IS THE CENTER OF ACTIVITY FOR JEFFERSON COUNTY. We are committed to finding businesses that complement and enhance the local, historical flavor of the community, while improving the quality of goods and services available to our residents and visitors. “The United States’ continuing economic dominance is perhaps most attributable to the very smallest elements of its economy: its entrepreneurial start-ups. Nearly 700,000 new job-creating businesses open each year. That’s almost 2,000 every day, each helping to create new market niches in the global economy. “Most people mistakenly believe these pioneering establishments occur overwhelmingly in metropolitan areas, such as in the now-mythic start-up culture of Silicon Valley. The intersection of agriculture and tourism is a growing trend fueled by consumers. There is increasing opportunity here in Jefferson County for small business, retail and service support for these industries. 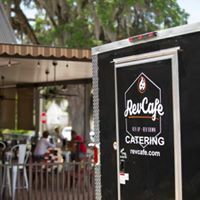 After spending years with a local franchise, with much success, Joe & Jaclyn Costanzo felt the need to venture out on their own with the passion they have always had in the restaurant industry. They moved to a quiet life in the small town Monticello, FL, and felt the only thing missing was a great restaurant. So why not open one? Their signature cuisine is based on the unique, local flavors of Monticello and the region.